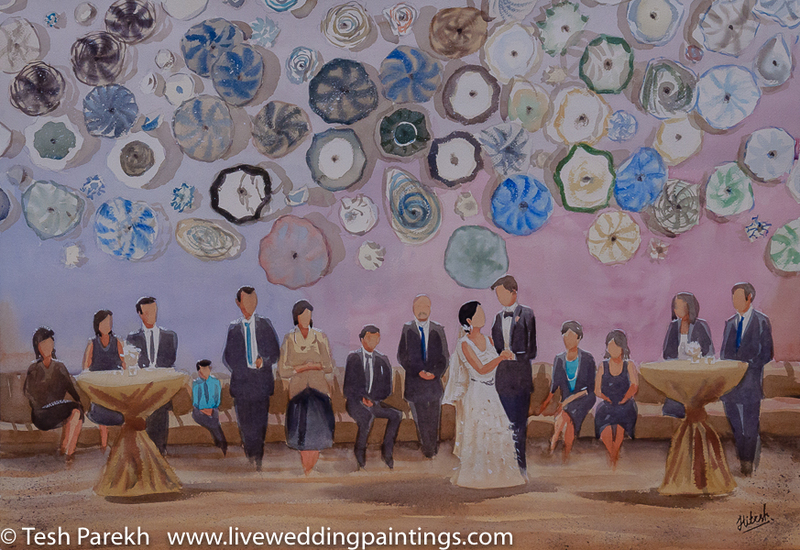 Live Wedding Paintings are another talent that Tesh Parekh, a national award winning Artist, offers his clients. 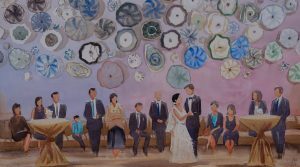 Tesh has been creating wedding paintings LIVE since 2009 and has painted weddings that were in churches, gardens, vineyards and receptions that were in country clubs, or tented backyards. There is no wedding to small for him to paint. 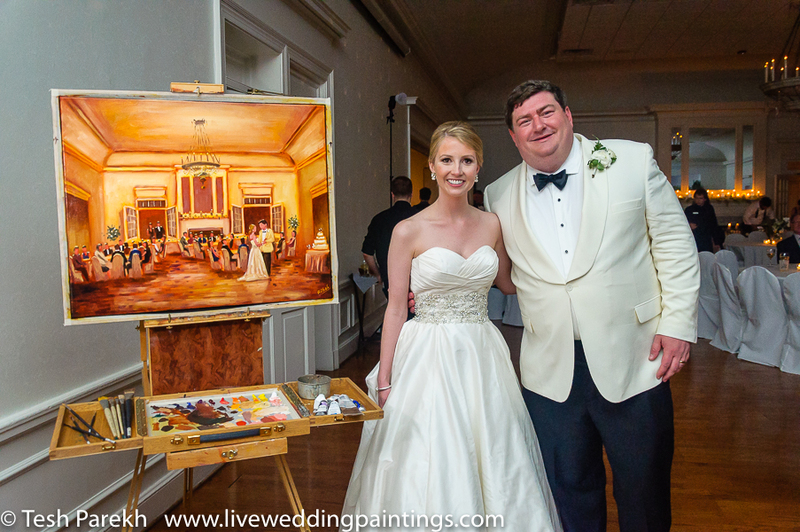 A LIVE wedding painting is a unique, timeless, one-of-a-kind option that can enhance your event for everyone including you! Tesh paints in oil or watercolor and will complete and deliver his painting(s) at your event. It is truly a special way to capture your love for a lifetime and a treasure that can be passed down. You may have a family member or friend photographing your wedding, but if you are looking for that extra special entertainment that can provide something for your guests as well as something for you as a keepsake. 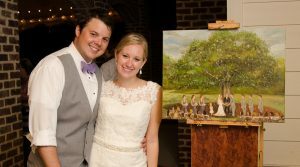 Tesh will work diligently during your wedding to create a beautiful painting of whatever you would like him to paint, whether it is of the minute to take your vows or your first dance ~ Tesh will bring it to life for all to see. 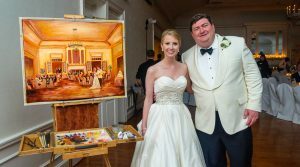 Turning your wedding into an event with LIVE Wedding Paintings is an amazing trend that has been voted “best trend for weddings” for the 2015-2016 wedding seasons.